Norsk versjon finne du her. 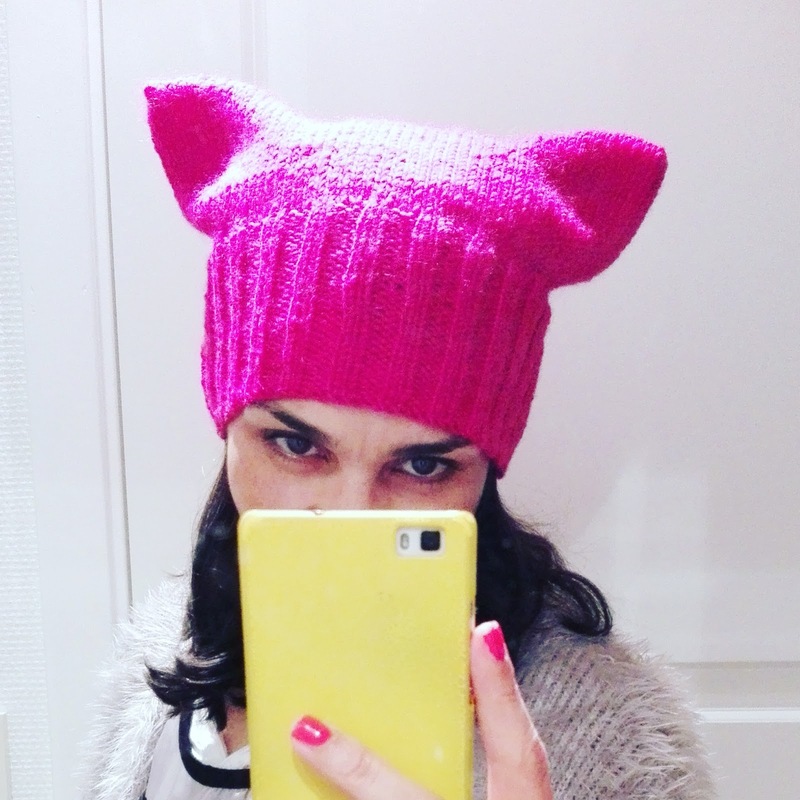 This is my Pussyhat, knit in the round, with a Kitchener seam along the top. The original pattern is knit flat and seamed along the sides. Here's a video demonstration of the Kitchener stitch by VeryPink Knits - I highly recommend learning this stitch. It's quite magical. 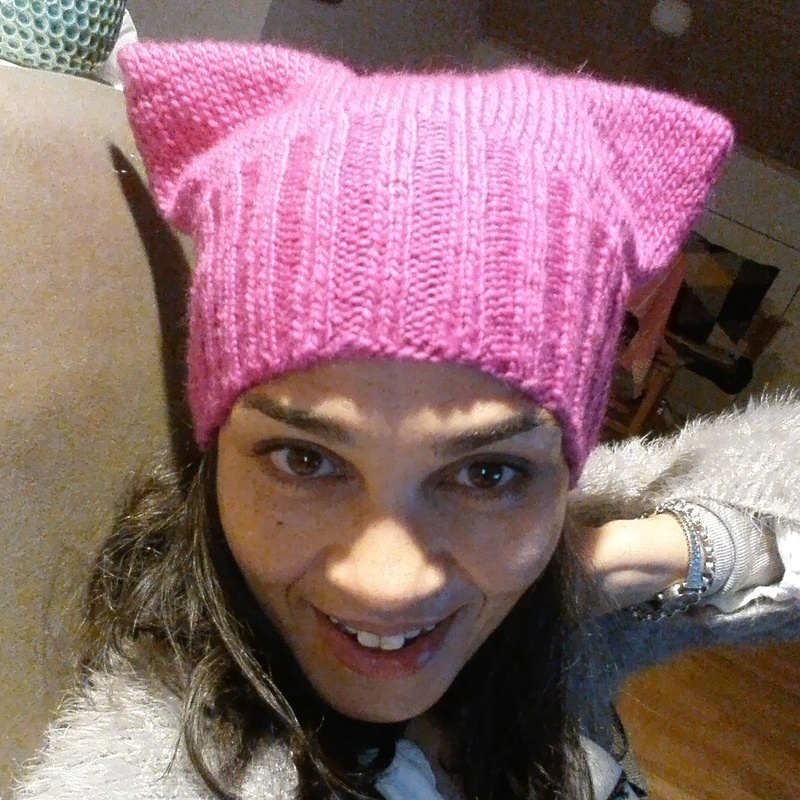 I decided to make my own version of the pattern, because I have quite thick hair and handknit hats eventually become too loose around the rib band. I also need a thicker fabric, making it sturdier and more resilient in the hat vs hair confrontation, so I've used a smaller needle gauge than the yarn label suggests. The Kitchener stitch seam is invisible! CO 88. Join. Using 3.5 mm K2, P2 until work measures 12cms. Switch to 5mm, K8, M1 until you have 100 stitches. 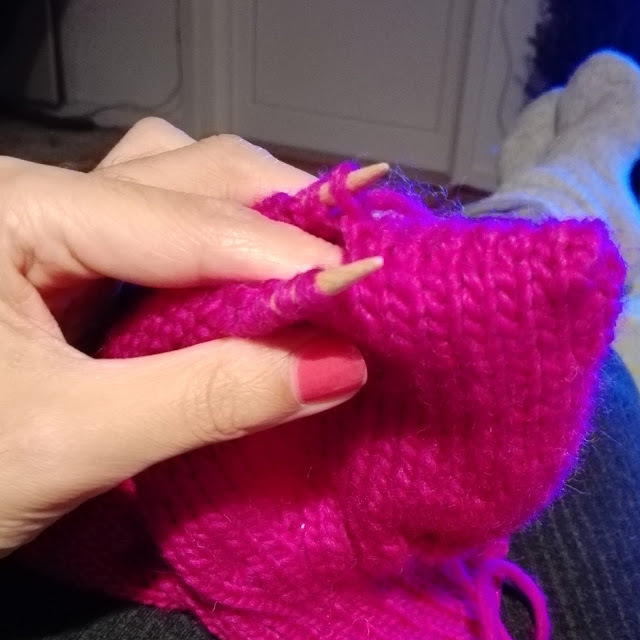 Knit until work measures 22-23cms from the cast on edge. Seam using the Kitchener stitch.